Time4Learning offered Schoolhouse Review Crew members a sixth-month subscription to their interactive curriculum for home use for students in PreK - 8th grade. My daughter and I are reviewing their homeschool curriculum for third grade. Time4Learning is an award-winning, automated, web-based learning system that provides interactive education to students in grades preschool - high school. Students can use it as a complete or supplemental homeschool curriculum, as an after school program, or as a summer school program. *My review will reflect the third grade homeschool portion only. Time4Learning is Educational and Fun! I mentioned above that subjects are organized into chapters. Here's a look at the chapters that are in the Language Arts category. As you can see, my daughter has completed the first two chapters. Within in each chapter, there are many lessons. Number of lessons vary per chapter. Also, the amount of time it takes to complete a lesson varies. Below are the 6 lessons in the Vocabulary Skills chapter. When my daughter clicked on Synonyms, the first lesson, the activity page popped up. Number of activities per lesson vary, but in this one, there were four. Here are some screen shots of the Old Time Word Show. During the lesson, the characters are actually talking, and your child interacts by clicking answers to questions. I've noticed that in Language Arts the lessons are taught by an automated character, and questions, though they appear on the screen, are read aloud. Sometimes your child does have to read passages on her own and answer questions when she is finished reading. The rest of the subjects: Science, Social Studies, and Math follow the same format as Language Arts. Since I have already shown you what the format looks like for chapters, lessons, and activities, I won't do the same for the remaining subjects, but I will tell you more about them and what to expect for your third grader. Here are a few shots of other Time4Learning activities and my daughter and her oldest brother having "recess" at the "playground." Here's the really fun part: as a reward for finishing lessons, your child gains access to an online playground! You can set the playground time limit: ours is set for 15 minutes. A timer counts down the time in the upper right hand corner. (You can see it in the screenshot below.) It's kind of like recess. :) This is definitely my daughter's favorite part of the lessons. After completing a lesson, she can choose from a pretty wide assortment of games and activities. Her favorite game is Simon Says, and she's even managed to snag her brothers for a few of the 2-player games like Tic-Tac-Toe for example. Your child can log in on her own from any computer at any time and independently work as much or as little as she wants while advancing at her own pace. (Parents have a separate log-in.) If your child needs extra practice or didn't quite master a concept, lessons can be repeated as needed. Also, for review or additional study, your child has access to above and below one grade level for each subject. After clicking Start, your child's launch pad will pop up. This is where she can click on a subject and start working on the lessons within chapters. There are several icons on the left hand side of the launch pad that might be useful to your child as well. Clicking the backpack will show your child recent work, assignments to complete if you've scheduled them (I don't do this), and reports. Clicking the pen/pad icon will open up Odyssey Writer, and clicking the notebook paper will show returned Odyssey Writer assignments. Clicking the Tool-Kit gives your child access to math tools she might need to use such as a calculator, counters, geoboard, number line, etc. During lessons, your child is guided by visual and auditory prompts, and finished work is distinctly labeled with a check-mark or gold star. She can take a break or log out at any time, and a bright green arrow shows her where she left off making it easy to resume lessons. 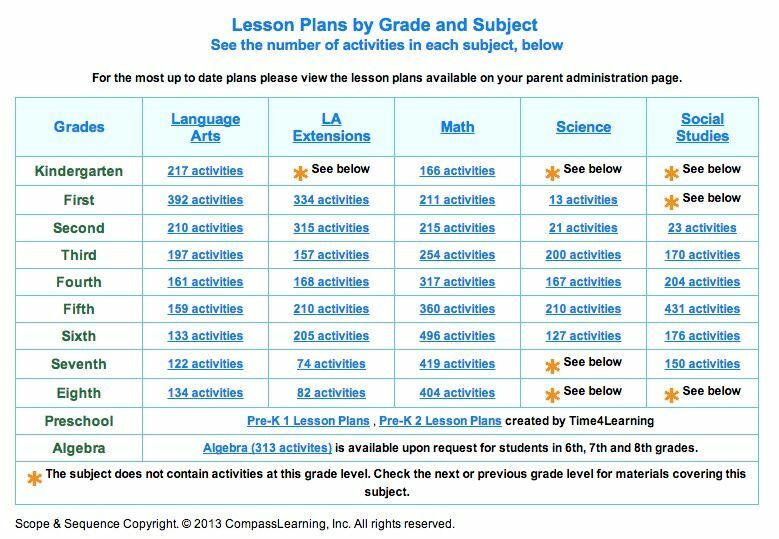 You as the parent can set grade levels independently for each subject and set times for lessons and playground. You also have access to printable lesson plans so you can preview what your child will be learning. Time4Learning also provides automated grading and detailed reports for tracking your child's progress and for using as a portfolio. An online parent forum is available to you for additional support as well. The Parent Administration Page contains lots of valuable information. Under How to Begin, you can watch a brief parent administration video, watch a basic navigation video, generate an activity schedule for your child, and get help for questions you may have. 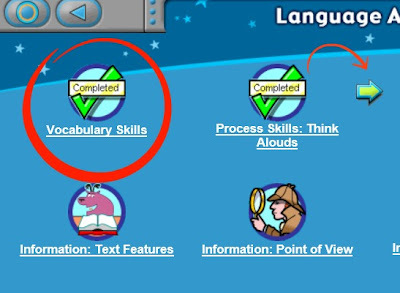 Under Lesson Previewing and Planning, you can learn how to view and use the lesson plans, watch a video to learn how to use progress reports (I've provided a sample of one of my daughter's reports below), learn how to use Odyssey Writer, and more. I was very thankful for the Odyssey Writer help since my daughter and I had trouble with it at first. In fact, in the beginning, we skipped over those activities since there weren't very many anyway. I think I've got the hang of it now so when she encounters another Odyssey Writer activity, I will be able to guide her through it. Just so you know what I am talking about, Odyssey Writer is where your child can complete writing assignments on line. As you can see from the report, Time4Learning keeps track of the dates and times my daughter completes her lessons and quizzes. It also records her grades. These reports are printable, too. You can access reports either from your child's launch page or from your administration page. I like this feature as it lets me view my daughter's progress without having to log out of her page. A few other helpful resources on the parent administration page are Spelling Words, Language Arts Reading List, and Science Lesson Supply List. For third graders, there are around 275 spelling words if you would like to use them for practice and tests. We already have an intense spelling program, so we haven't used them yet. Some of the reading materials are not provided within the lessons online and must be obtained elsewhere. A detailed list of lessons and which reading materials are provided and which ones are not provided are included in the Language Arts Reading List. This is very helpful to know beforehand! 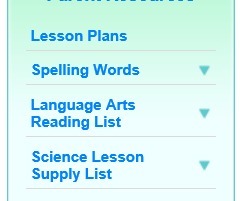 Also, supplies that are needed to complete science activities are listed by lesson. Again, helpful to know beforehand. 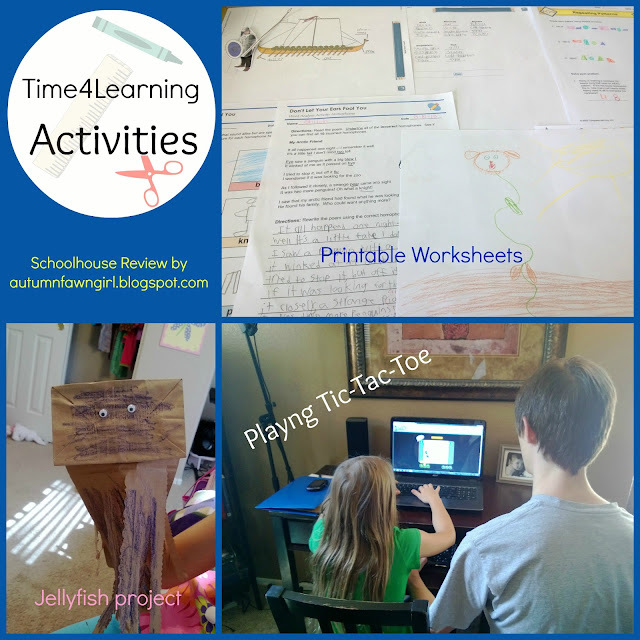 We are using Time4Learning as a supplemental homeschool curriculum and focusing mainly on Language Arts. My daughter does spend some time on social studies and science but spends little time on Math. Math is her least favorite subject, so we are pretty much sticking with our current curriculum for that. She does the Language Arts chapters in order, but I let her pick and choose which chapters she wants to do in the rest of the subjects. We are not following a strict schedule, but I require her to do Language Arts every day. After she finishes her LA lesson, she can choose either a science or social studies lesson. I made her do a few math lessons for review purposes, but I know she'd probably never pick math on her own. She usually picks a science lesson since she loves to study about animals. She's actually almost finished with the Life/Environment chapter. My daughter spends about an hour per day using Time4Learning. 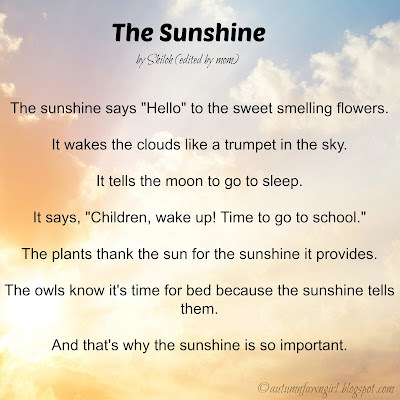 If you are planning to have your child use it as a complete homeschool curriculum, she would obviously need to spend more than an hour a day on lessons. Using it as a complete curriculum would be pretty difficult for us since we only have one computer for homeschool use. My daughter shares the computer with her 2 brothers who are also homeschooled. The Time4Learning website is very easy to navigate and is visually appealing. I really like the high quality graphics and variety of teaching styles and activities. I think my favorite thing about the program is that my daughter can do so much on her own. It's extremely helpful to have "someone else" teaching and grading a couple of subjects. My daughter also likes being able to get Language Arts out of the way all by herself before we even technically start school in the mornings. She's usually done with Time4Learning before 8:00 a.m.! Honestly, I like everything except for one thing. I don't like that anything related to science is taught from an evolutionistic world view. This program teaches that the earth is millions of years old and that dinosaurs roamed the earth long before humans. We even encountered this teaching in some Language Arts passages about asteroids and rats. I have no idea how often this teaching comes up since we haven't completed the entire program. One of the reasons I homeschool is so I can give my children a sound education from a biblical viewpoint, so I personally wouldn't want my daughter's core science curriculum to be worldly. Having said that, I am still going to let her do the science lessons because she is familiar with the theory of evolution and why we don't believe in it. So, just like in science related books from the library, she knows to ignore the "millions of years ago" phrase and anything pertaining to macroevolution. For PreK - 8th grades, Time4Learning offers one low price of $19.95/student per month. Additional students can be added for $14.95 each per month, and all students have 24/7 unlimited access. You don't have to worry about contracts or hidden costs, and you can quit at any time. Plus, if for any reason you are not satisfied, Time4Learning offers a 14-day money back guarantee. If you'd like, you can try a personalized Time4Learning demo. After that, be sure and read the rest of the Crew reviews! Wow! This is a very detailed review! Love it! 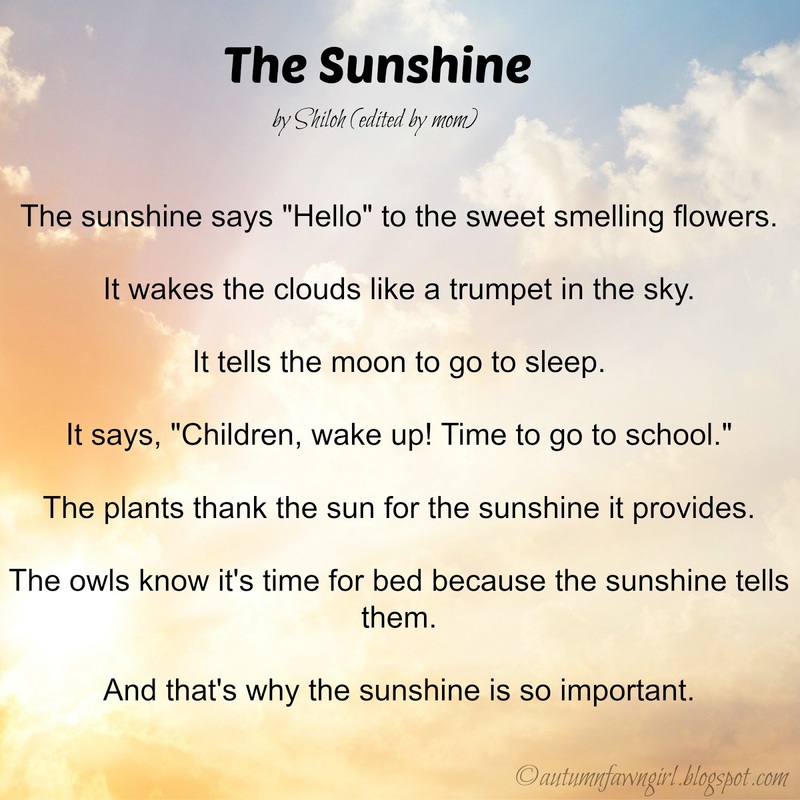 I also loved reading your daughter's personification poem! My kids have been using T4L for several years now. What a great review. So glad you shared your daughter's personification story, she did a great job, and I love that it was her idea. I do miss Time4Learning, it definitely wasn't something we could afford to keep. We used the younger grades, so it was definitely cool to see some of the lessons in the older grade. Thanks for sharing with Throwback Thursday Blog Style. I can't wait to see what you share this week.